A haven of tranquillity and relaxation, Aditya is a boutique gem offering en suite spa services and haute cuisine whenever and wherever you wish to dine. A slice of secluded paradise blessed with fiery sunsets, lush gardens and soft golden sand, this is the perfect holiday hideaway. On a stretch of secluded beach between Hikkaduwa and Galle, approx 3 hours from the airport. 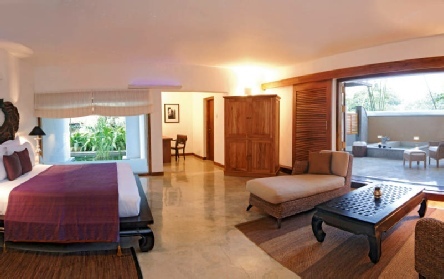 The 12 individually designed rooms are named after Hindu deities making Aditya a haven of tranquillity and relaxation. All suites are equipped with large-screen TVs, DVD/CD players, mini-bars, safes, hairdryers, tea & coffee service, his & her sinks, vanity mirrors, and most spectacularly, private plunge pools. Relax by the pool, sip a cocktail at the bar or curl up with a good book and listen to the sounds of the ocean in the library. 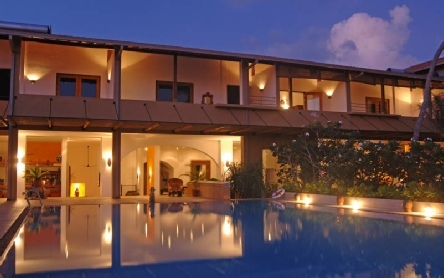 Dine out on the sands, watch the turtles on the beach or visit the nearby city of Galle. 2019 package holidays to the Aditya Sri Lanka Prices are per person based on two sharing.